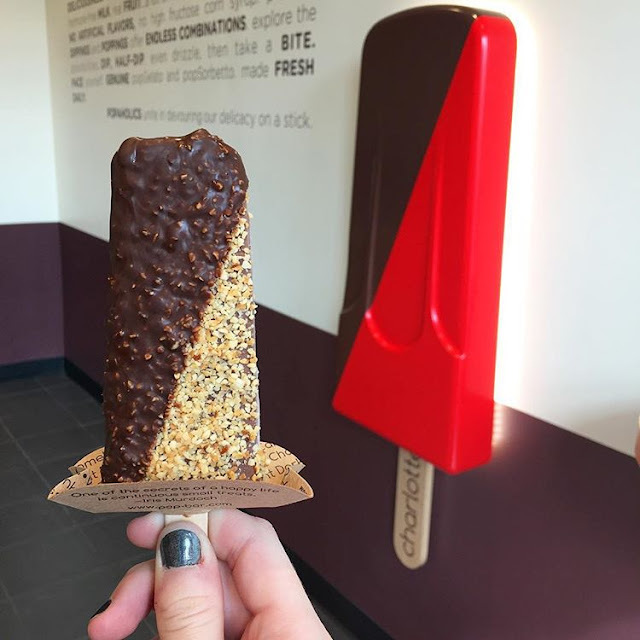 Popbar in Charlotte: Last week I had the opportunity to go and check out North Carolina's first location of Popbar, which just opened in Charlotte's NoDa neighborhood. Popbar is a fun dessert franchise whose signature item is gelato on a stick. They also sell different sorbets pops as well, and a few different hot chocolate varieties. All of their ingredients are all natural, and the flavors of the gelato and sorbet pops are always changing. I got to try the Gianduia gelato pop (pictured, a combo of chocolate hazelnut), and also a vanilla gelato pop. Both were absolutely delicious! I would definitely recommend for all of my Charlotte reader friends to check out Popbar, and if you're not from NC don't worry- they have locations both in other US states and internationally as well! 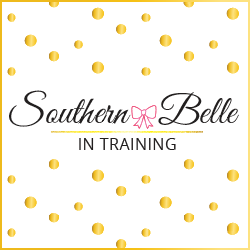 Reader survey: I've never done a reader survey here on Southern Belle in Training before, but after seeing a lot of other bloggers do them around New Year's, I'm thinking that it might be time to give one a go. I definitely want to keep creating content that y'all want to read! Do you guys like it when bloggers make readers surveys, or if you area a blogger, have you seen success with making a reader survey? Yummy muffin recipe: Y'all know that I absolutely adore cooking and baking, and trying new recipes is one of my favorite things to do in my free time! This weekend was the first one in awhile that I got to spend a good chunk of time at home, and of course I used a lot of that time in the kitchen. I snapchatted/put on my Insta-story a picture of these banana-cinnamon muffins that I tried my hand at and some of you wanted the recipe, so there it is! They came out delicious and I think I'll be making them again soon. The funniest thing I've seen on the internet this week: This Buzzfeed article had me laughing so hard!! I totally could relate to many of these things... how about y'all? Last week was Lilly Pulitzer After Party Sale week, one of my favorite times of the year! In the last two sales, I've been on the hunt for Elsa tops, but this time around I was searching for dresses. I bought the cutest swing dress, and I cannot wait to wear it lots this spring! It sold out in the sale, but this one is very similar. I also bought a gorgeous shift dress! This purchase was really interesting- it wasn't actually from the Lilly website, but from a signature store with an online shop that was also honoring the sale prices. I'm thinking that it will be my graduation dress from broadcasting school! This shift dress is very similar to the one I purchased. I've had a white marble Macbook case since I got this most recent laptop- about a year and a half ago. But the bottom of the case is now cracked in several places, so I'm thinking it's time for an upgrade. How gorgeous is this Macbook case?! It's similar to what I have now, but oh so pretty! And my question for all of you this week: are you sticking with your New Year's Resolutions? Mine was to workout/go to the gym regularly again this year.... so far I've been doing okay, but I think it could still be improved! I just read that Buzzfeed article. That is hilarious! I was just talking about Facebook bumper stickers the other day with a friend. I love the blue marble case that you featured! I recently got a gold marble case for Christmas and LOVE it! Popbar sound so cool! I wonder if there is anything similar near me. I highly recommend doing a reader survey - it really helps to narrow down what topics your audience loves and what they don't! Im back in Charlotte for a couple months! Ill have to try out the pop bar! I love that blue macbook case! It's so unique! I am going to Charlotte this weekend! Def trying to go to Popbar now! Nom! Ahh Popbar sounds so good - I love gelato! Just Googled them to see if there was a franchise here, but nope :( I just read that BuzzFeed article.. so nostalgic! I love Popbar! I did a reader survey and it was really helpful! Oh Popbar looks amazing, I wish I had one nearby! This post was super cute, and glad I found you blog. Why I Think Church Attendance Is So Important. Athletic Goals for the New Year. Lilly Pulitzer After Party Sale Still Happening! Lilly Pulitzer After Party Sale HAPPENING NOW!